New month, new legislators! Medicine Day has moved to April! 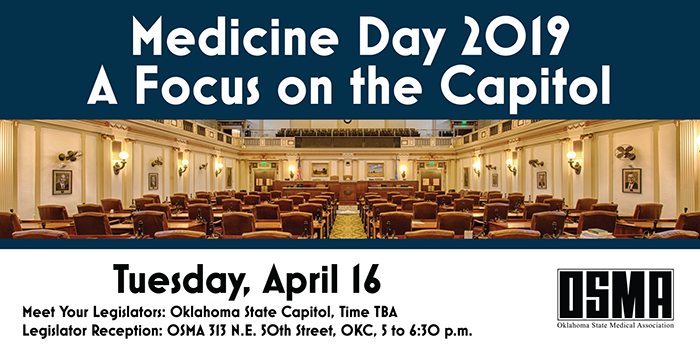 Please mark your calendar for April 16 for Medicine Day. The OSMA will organize an afternoon event at the State Capitol followed by a Legislative Reception at the OSMA offices. We will provide you with more details over the next couple months but wanted to make sure you booked this new date. For questions, please contact Matt Robison.